What some comedy (or tragedy!) with your coffee? 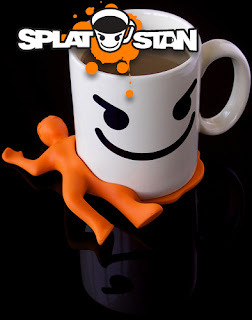 Check out this silly coaster, Splat Stan. Hopefully your Monday will be better than his! Hm, coasters aren't much use to me. I tend to drop/spill/kick the drink over before it gets to a table. This one is cool though.